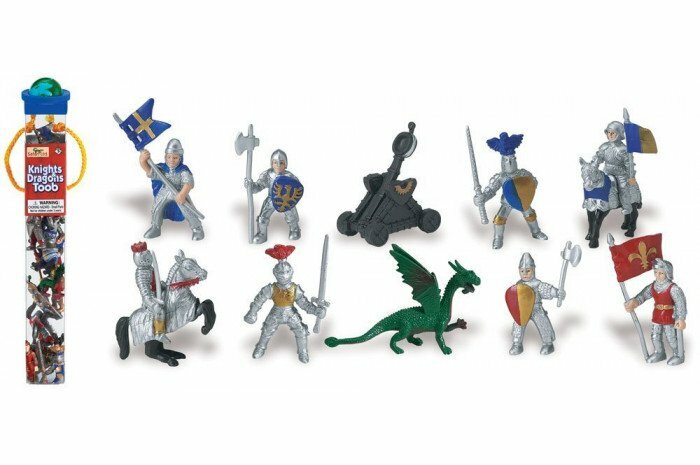 Safari toob includes a dragon, catapult, eight knights, and 2 horses. Lots of detail. 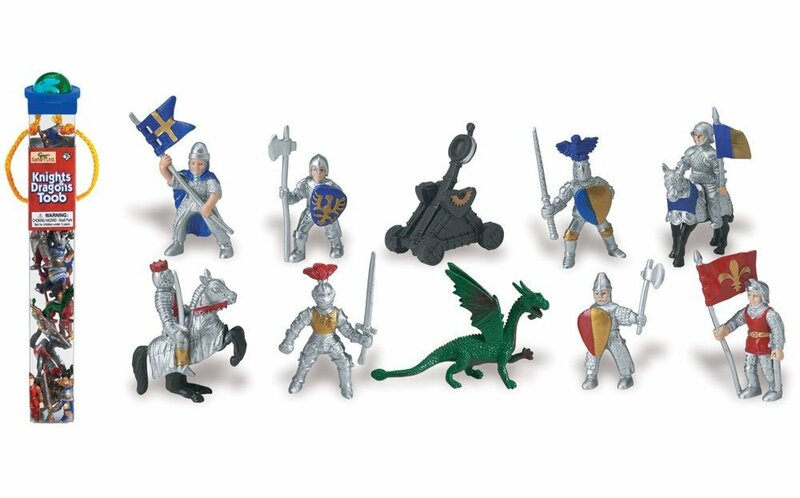 With 12 pieces included, these are less than $1 per figure for high quality Safari brand miniatures.